David E. A. 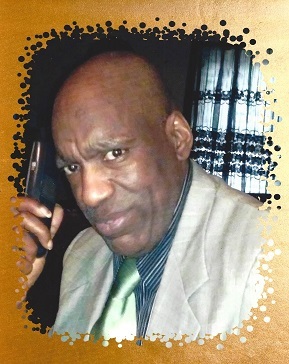 Brown, Sr.
Darrel E. "Buddy" Clark, Jr.
Dwayne D. Henderson, 55, of Erie, PA, was called to be with the Lord on March 5, 2018 at UPMC Hamot in Erie. He was born on January 14, 1963, a son of the late Robert Henderson Sr. and Viola Hathaway Henderson. Dwayne leaves to cherish his memory 5 children, Tyler Henderson and Abigail Henderson, both of Jamestown, NY, Amanda Henderson of Corry, PA, and Corey Henderson of Alabama, and Andrew Nortum of Edinboro; 3 brothers, Rick Lomax of Pittsburgh, Darnell Henderson, Thomas (Cathy) Henderson both of Erie; 3 sisters, Mariam Chaney of New Orleans, LA, Denise Roberts (Curtis), and Ebony Henderson, both of Erie; many grandchildren, nieces, nephews and cousins, and a multitude of friends. In addition to his parents, he was preceded in death by a brother, Robert E. Henderson, Jr. There will be no viewing or visitation. A Memorial Service will be held Thursday, March 15, 2018, at 1:00 PM at Shiloh Baptist Church, 901 East 5th Street, Erie, PA 16507. Askins Cremation Funeral Services, 8354 Wattsburg Rd. Erie, PA 16509 is assisting the family with arrangements. Askins Cremation Funeral Services is a licensed funeral home in Erie, Pennsylvania offering cremation services at a low price. Providing caring, professional cremations services that honor and celebrate the life of your loved one.